Are you looking to impress your friends and relatives with your exceptional skills on the old ivories but don’t quite have the room, or budget, for that baby grand? You’re in luck! Modern technology has made it possible to enjoy a classic piano sound and performance without having to hire a team of movers or take out a window or door to get the thing inside your home. 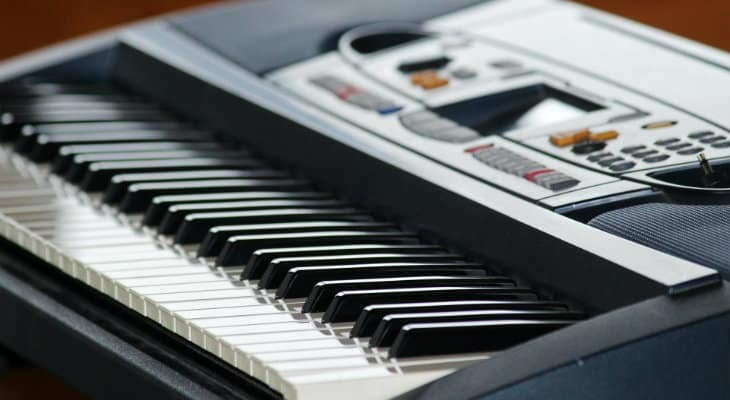 Electronic keyboards and digital pianos are great solutions for the convenience factor and for the pocketbook, but which choice is right for you? Let’s break down the basics of the two most popular modern piano alternatives while we explore the good, bad and just plain ugly qualities of digital pianos vs. keyboards. You may be saying to yourself at this point, “I didn’t know there was a difference between a digital piano vs an electronic keyboard.” One of the most glaring differences of a keyboard vs an electric piano is typically the feel of the keys. Electric pianos tend to have weight and heft to the keys along with a more realistic key action (that springy resistance you get when you hit a key on a traditional piano). The highly regarded hammer action on Kawai digital pianos is a great example. In contrast, the lighter plastic keys on even the best electronic keyboard tend to be only mildly springy at best, with little to no weighted resistance. Since we’re on the subject of keys, another difference between keyboards vs the electric piano is the lack of touch sensitivity. On a traditional acoustic piano, the harder you plunk the key the louder the sound. Most digital pianos also mimic this feature. Electric keyboards tend to lack any touch sensitivity. Press the key lightly and you’ll get the same volume as you would if you gave the keyboard a good solid whack. Here’s where things start getting a little more complicated. The sound, or sound effects, you’re going for may help settle the debate. If it’s the big, classic, full bodied tone of an acoustic piano you want, the digital piano may be right for you. Digital pianos tend to have more realistic tones and fuller sound. Keyboards on the other hand, generally sound a bit thin or electronic in comparison. Traditional sound quality isn’t the only consideration though. What electric keyboards lack in depth and realism of tone, they make up for in their wide variety of sound and effect options. Want to bust out a reggae or jazz beat to accompany your sonata; even base-model keyboards most likely have you covered. Sophisticated models will let you get even more creative. Ever wanted to sample your dog’s bark into a new pop hit? With built in or optional microphone accessories, the electric keyboard will allow you to do just that. In contrast, most digital pianos will have limited effects and their sound options are mostly limited to switching between the basic tones such as traditional, harpsichord or electronic piano. When comparing digital pianos vs keyboards in order to decide which is right for you, you should also consider how, what and where you’ll be using your instrument. 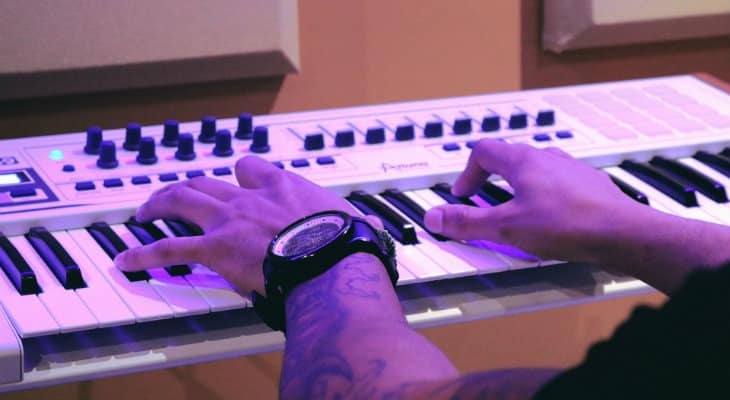 Electronic keyboards were developed for their ease of use and portability and are significantly lighter than an electronic piano, tending to weigh in the 20 lb or less range. Electronic pianos with their more realistic keys and bulkier body are heavier and can weigh in at up to 75lbs on the more elaborate models. Keyboards are also designed to be placed on top of a variety of desks, tables, laps or any other reasonably flat surface. Digital pianos, with their weight, design and larger size, tend to need their own special stands (which are usually sold separately, of course). ​Last but not least in the great keyboard vs digital piano debate, we need to talk impact on your pocketbook. As you might guess, the lighter, mostly plastic and more compact electronic keyboards carry a similarly lighter price tag. While DJ and professional models at your typical chain music store top out around $750, you can usually find a good deal or a perfectly functional basic keyboard, including all the bells and whistles, for about $250-$400. You can find an entry level digital piano for about the same $350 price tag, but for best tone and key action you’re probably looking closer to $500 – $1000. 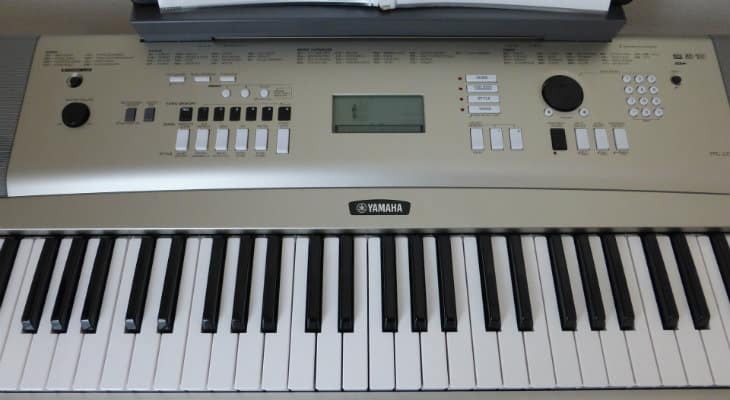 Since digital pianos were built to mimic the real deal, you can also find professional geared versions with price tags in the several thousands of dollars range. I don’t know about you, but at that point I’d probably just pay the mover. So who wins the war of electric piano vs keyboard? They both have their plusses and minuses. If you’re looking for something that’s portable, less expensive and that you can pound out all kinds of crazy electronic sound effects and beats on, the electronic keyboard is probably going to fit your style.